A medical power of attorney gives you, the agent, authority to make medical decisions when your brother becomes incapacitated or unable to make his own decisions, but it does not give you any authority over your brother’s finances. Your brother might have created another power of attorney giving you or another agent control of his money, but a medical power of attorney typically only addresses medical care. 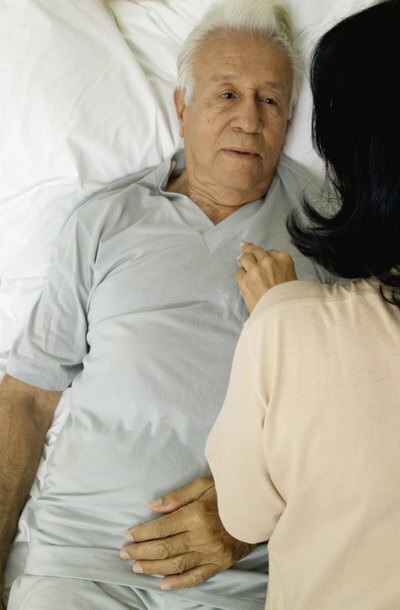 Once your brother's incapacity activates your authority under the medical power of attorney, New Jersey requires you to carry out your brother’s medical wishes and act in his best interests rather than your own. As your brother’s medical agent, you step into his shoes and act when he can’t. In New Jersey, your actions carry the same consequences as if your brother were acting. Thus, when you authorize certain medical treatment while acting as an agent, you make your brother responsible for the medical debts incurred. For example, if your brother must be admitted to the hospital for medical treatment and you sign the admission paperwork as the patient, using your power of attorney, your signature replaces his. As his agent, you commit your brother to pay the costs of the hospital admission. If your brother gave you power of attorney over his financial affairs as well as his medical decisions, you have responsibility to pay bills for his medical care. However, you continue to act as his agent when paying his bills, so you are not required to use your own funds to make those payments. Just as you “stepped into his shoes” to make medical decisions, in New Jersey, you again step into his shoes to make financial decisions. For example, you might authorize medical treatment under your authority as his medical agent but pay for it under your authority as his financial agent. If you choose not to pay his bills, creditors can pursue court action to force payment. However, short of fraud, theft or other mismanagement, you are not responsible for paying your brother’s medical debts from your own resources. If your brother no longer has funds available to pay his medical bills or your brother’s financial agent refuses to pay, creditors might harass you even though you were acting as your brother’s agent. To avoid confusion, it may be helpful to clearly identify yourself as your brother’s agent when acting under his medical power of attorney. For example, you could note on medical forms that you are your brother’s agent, thereby, making it less likely that a medical provider would want to hold you personally responsible. Failing to identify yourself as his agent could lead to accusations that you signed on your own behalf rather than your brother’s and, thus, should be held responsible. What Happens If an Agent With Power of Attorney Becomes Incompetent? If handling your own financial affairs is a challenge, or you worry that you will not be able to manage your affairs in the future due to illness or loss of capacity, you have the right to designate another individual as your agent via a power-of-attorney agreement. An individual with power of attorney can pay bills, sign contracts and manage investments on your behalf. Should your agent become incompetent, however, your finances may be at risk. What Can Happen if You Don't Have a Power of Attorney?